Father Tom to be Crucified By ISIS on Good Friday? 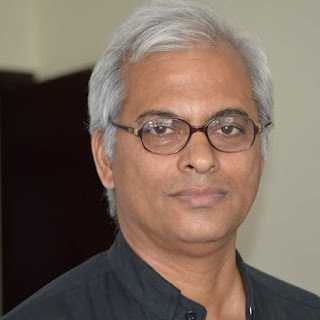 So as of now it seems that the Franciscan sisters are saying that Father Tom Uzhunnalil, who is believed to be in the hands of jihadis, may be crucified on Good Friday. But others are saying this may be just a rumor. Yesterday the Franciscan Sisters of Siessen, based in South Africa, warned on Facebook of the impending torture, and the rumor has since spread across social media platforms. Salesian Church officials, the order to which Fr. Uzhunnalil belongs, have dismissed the claims as rumors and said they have no new information about the priest’s whereabouts or situation. “We have absolutely no information” on Fr. Uzhunnalil, said Father Mathew Valarkot, spokesman for the Salesians’ Bangalore province to which the kidnapped priest belongs. His comments have been reported both by ANS news, a Salesian news agency, and UCA News, an independent Catholic news source in Asia. The original rumor appears to have stemmed from an unverified e-mail, speculating about the possibility of torture and crucifixion, but “these are all rumors,” the spokesman reiterated. Father Valarkot said the Salesians have been pressuring the government for help in locating Fr. Uzhunnalil. Church offices in Vatican and Vatican diplomatic channels are also working to locate the priest and secure his release, reports UCA News. “But even today we do not know who has taken him and what their motives are because no one has claimed responsibility,” Father Valarkot said. Be assured that if he is not crucified it is not out of respect for Fr. Tom or for Christianity but for lack of usable wood.